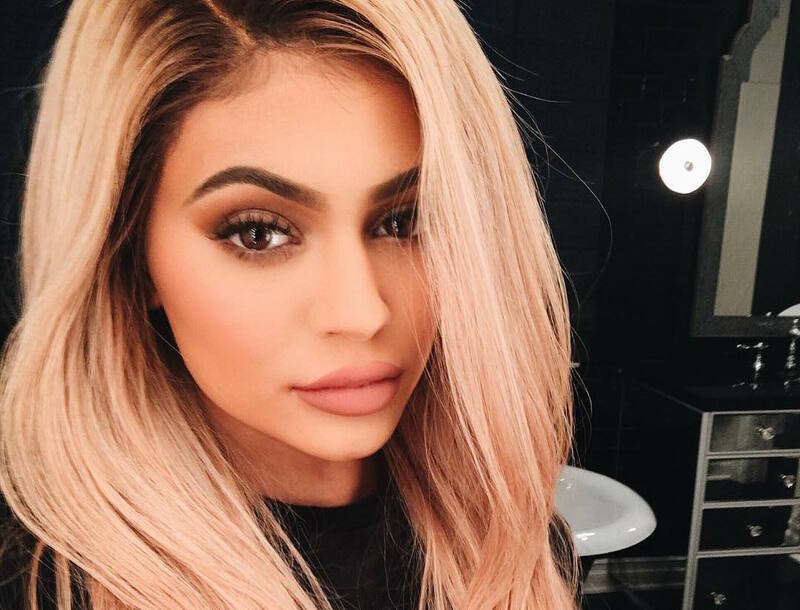 Since we love everything and anything rainbow, we can’t help but be in love with Kylie Jenner’s ever-changing hair. One day it’s black, the next day it’s blue, tomorrow it will be red, but today – yes, today – it’s peach! Earlier today, the jetsetting Jenner sisters took to Coachella for some festival vibes. Naturally, in order for them to fully experience the event, they had to primp for the occasion. Since we’re almost certain that Kylie has an entire closet devoted to wigs of all different shapes, sizes, and colors, she probably just visited the wig emporium she has in her home for style inspiration. Miss Kylie Jenner is also releasing her metallic lip kits today – in honor of Coachella, of course – and we can imagine these metallic colors looking amazing with her hair. Plus, based on all her Insta pictures, we can see that the peach hair color elevates an outfit. Kylie’s wearing jean shorts, a white t-shirt, and a statement choker necklace, but the hair color definitely takes the look to the next level. Kylie, if you’re reading this, we 100% think that you should change your hair every time you release a new lip line because we are loving the rainbow of colors you’re unleashing on the world.